So, after a few false starts and a missed opportunity I’ve finally settled on a new direction. I am building a vertical market around video content because it is clear to me (and every other marketing professional out there) that video has become, and will remain, the absolute best way to promote a business online and by most accounts over 80% of the traffic flowing through the Internet will be video in just a couple of years. The problem for most businesses and content publishers is that there is a huge skills gap when it comes to the process of creating video content. To a lesser degree, there is also a disconnect when it comes to the effective distribution and marketing of that video once it has been created. My mission is to create a website in which people and businesses who need video content and other video related services can find talented entrepreneurial filmmakers, video editors, CGI effects artists and marketing professionals at price points from the micro job to full scale commercial video production. The subject is a completely different tack for me, but the process is not. The challenge of starting a bootstrapped vertical like this is attracting both sellers and the buyers at the same time. You essentially get one shot at either user; the sellers (service providers) need buyers if they are going to put any effort in and buyers need a variety of vendors from which to choose in their search for value and having their needs met capably. I’ve decided to start by grooming potential service providers, I call them vtreps, which is short for video entrepreneur, through a new online magazine at Vtrep.com and positioning it as “the leading media publisher and community resource for creative professionals who are ready to capitalize on the unprecedented business opportunities digital video content present in 2014 and beyond.” The idea is to then move the vtreps to VideoToOrder.com, (the “money site”) which is a video content and related services marketplace currently under development and on track for a beta release one month from yesterday. To be sure there are some pretty established (and well-funded) competitors already in the video content space, but as I see it each only offers one part of the entire video content solution. There are micro job marketplaces, stock footage retailers, online video editing services and video-related freelancing websites but I believe the opportunity lies in the unification of these services onto one platform. 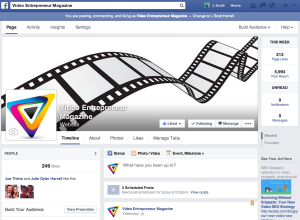 The video entrepreneur magazine is up and running now and I’m watching the Vtrep Facebook page likes roll in (240+ in 2 days) though I am struggling to develop any meaningful fan interaction. It will come in time as I find what subjects get these fans talking. I am writing articles again and just hit one out of the park about making money with drone video; it received over 1,060 views in a single day when I shared it via social media. Perhaps most importantly, mailing list subscribers are signing up, too. These are all very good signs. Of course, everything is online so I can continue to slow travel with my family as well.. though I have to do a better job at managing my time with them and get back on a workout regimen. I really need to find a new administrative assistant or at least hire a social media manager and finally quit Facebook to focus my efforts on those activities that actually pay a dividend. I still haven’t decided whether I am going to pursue funding just yet. 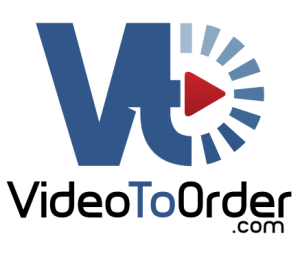 I think I’ll probably bootstrap the entire vertical until VideoToOrder.com has launched. If I do a sufficient job publicizing the launch I might find some interested investors without much solicitation. Either way, I’m not going to count on funding. It’s great to be back in startup mode again! I’m excited and just thought I’d put this out there in the For What It’s Worth category for anyone who is interested in what I am up to these days. I can easily see where you’ll be offering the best of all opportunities for the business community. 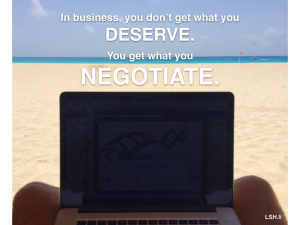 Seems like you’ve put a lot of time and thought into it and I wish you and your clients much success! This sounds very interesting Scott, I look forward to seeing what happens to this project in the next few months. 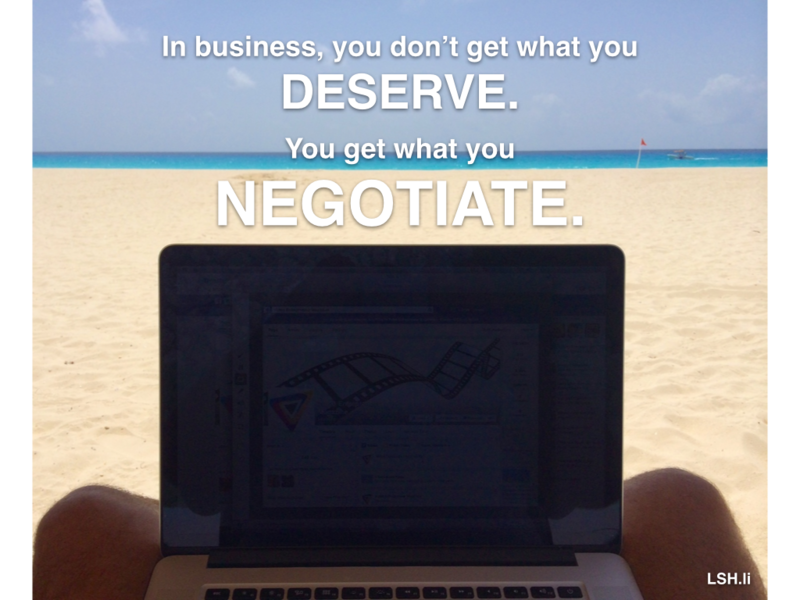 You have great drive and passion, I am sure that you can find that proper niche that will become a hot commodity.